Madiba has been played both by the veteran American actor as well as the exciting British actor of Ghanaian-Nigerian descent. Nelson Mandela passed into the ages on Thursday night. The Nobel Laureate has inspired many films and characters. A look at some prominent Nelson Mandela portrayals on the big screen. Justin Chadwick's script adapted from Mandela's 1994 autobiography of the same name stars British actor Idris Elba as the late revolutionary. News of the revered revolutionary's death was broken to his daughter Zindzi while she was watching the film at its London premiere. 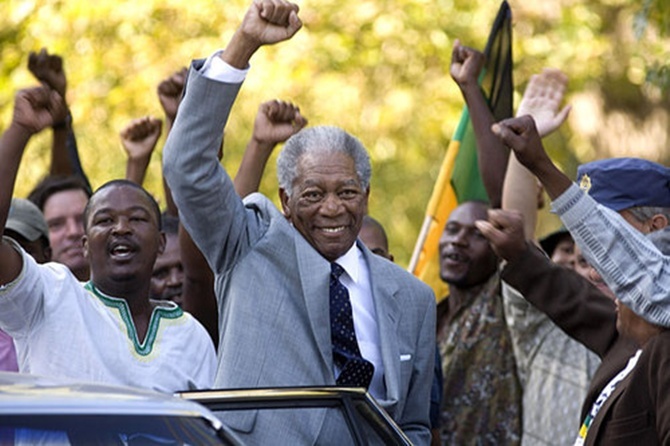 Clint Eastwood directed the 2009 drama Invictus featuring Morgan Freeman as Mandela. Matt Damon played Francois Pienaar, the white captain of the South African rugby team. Invictus is based on John Carlin's book, Playing the Enemy: Nelson Mandela and the Game That Made a Nation. It earned its lead stars Oscar nominations -- Best Actor for Freeman and Best Supporting Actor for Damon. 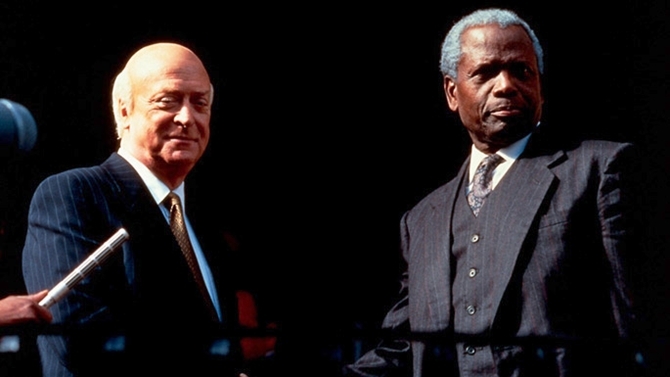 This 1997 made-for-television film, directed by Joseph Sargent, starred Sidney Poitier and Michael Caine. Poitier played Mandela while Caine played F W de Klerk, the last white president of South Africa who brokered the end of apartheid. 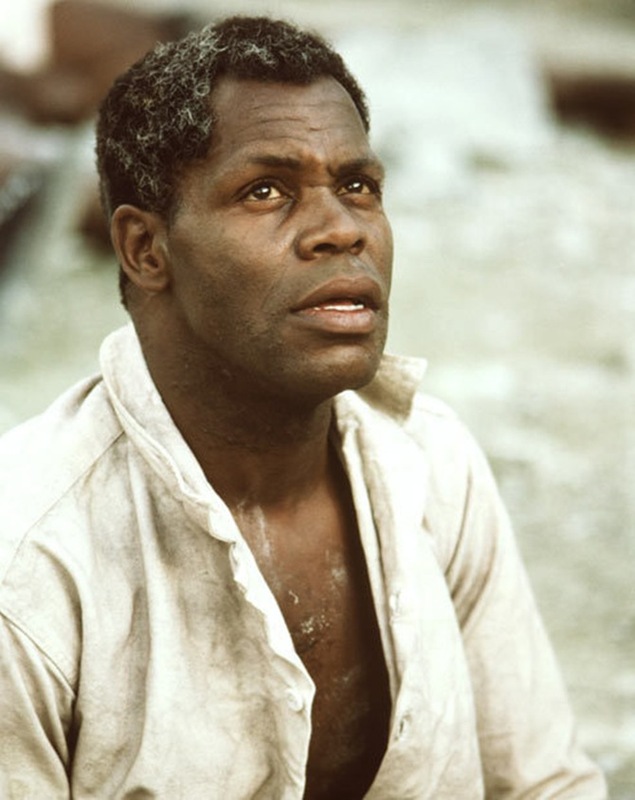 In the 1987 HBO film, Mandela, actor Danny Glover played Madiba. The film released three years before F W de Klerk ended Mandela's 27-year imprisonment. In 2011, the biopic Winnie Mandela chronicled the life of Mandela's wife Winnie from her childhood to her marriage to him and his incarceration years. 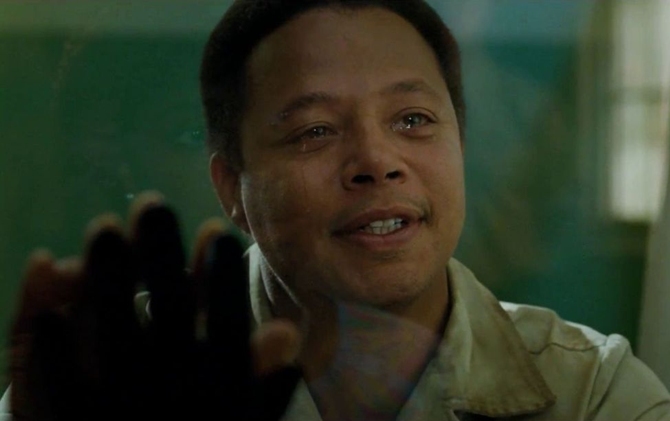 Academy Award-winning singer-actress Jennifer Hudson played Winnie, and was paired opposite Terrence Howard's Mandela. 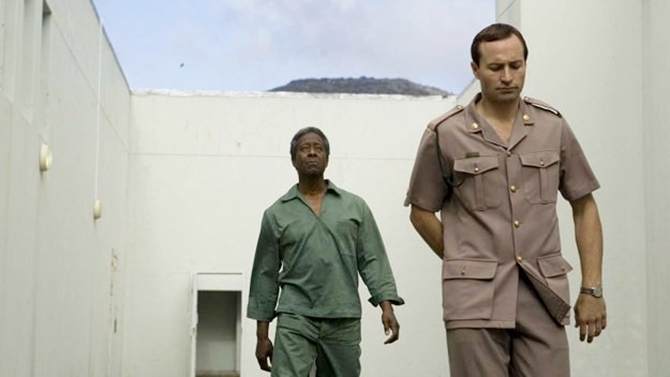 Goodbye Bafana, a 2007 drama directed by Bille August, traces Mandela's relationship with James Gregory -- his censor officer and prison guard -- during his imprisonment and how both their lives change after he walks free nearly three decades later. 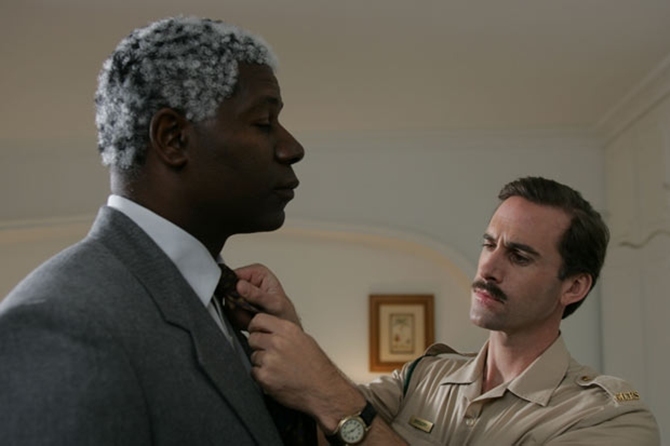 Based on on Gregory's memoir, Goodbye Bafana: Nelson Mandela, My Prisoner, My Friend, the film stars Dennis Haysbert (24, the first season) and Joseph Fiennes (Shakespeare in Love) as Nelson Mandela and James Gregory respectively. In Pete Travis's 2009 film, Endgame based on the book, The Fall of Apartheid by Robert Harvey, Clark Peters essayed Nelson Mandela. The film focuses on the final days of apartheid. 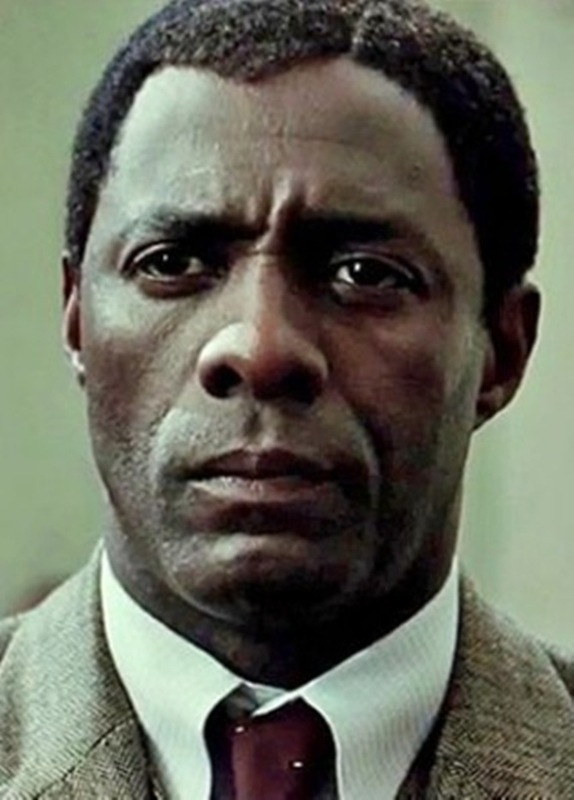 David Harewood (Homeland) famously shared his daunting experience of playing the revolutionary icon in the BBC drama Mrs Mandela, released in 2010. British actress Sohpie Okonedu (Hotel Rwanda) played Winnie Mandela.